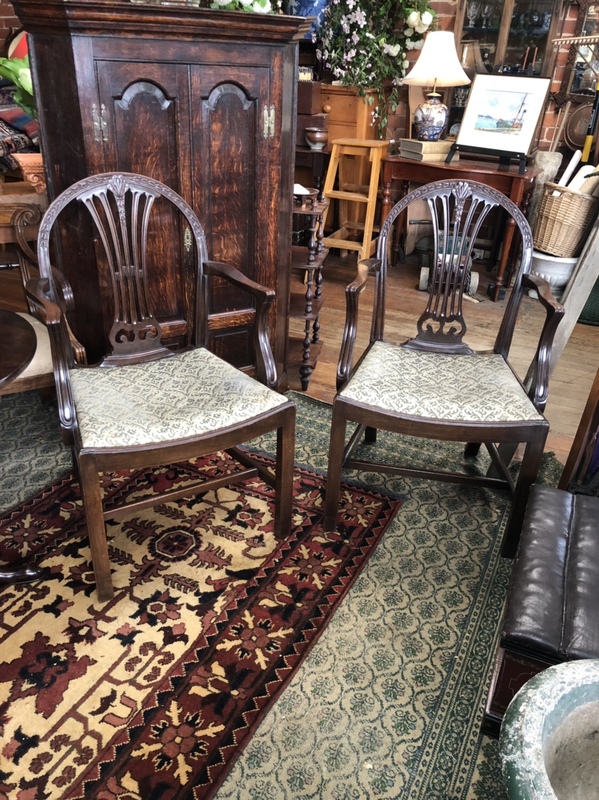 A pair of Hepplewhite style Carver Chairs in Mahogany. 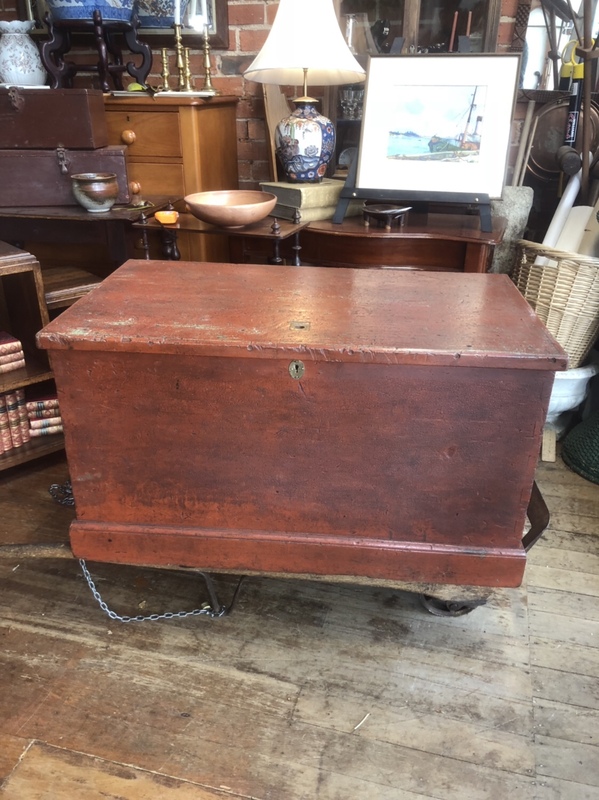 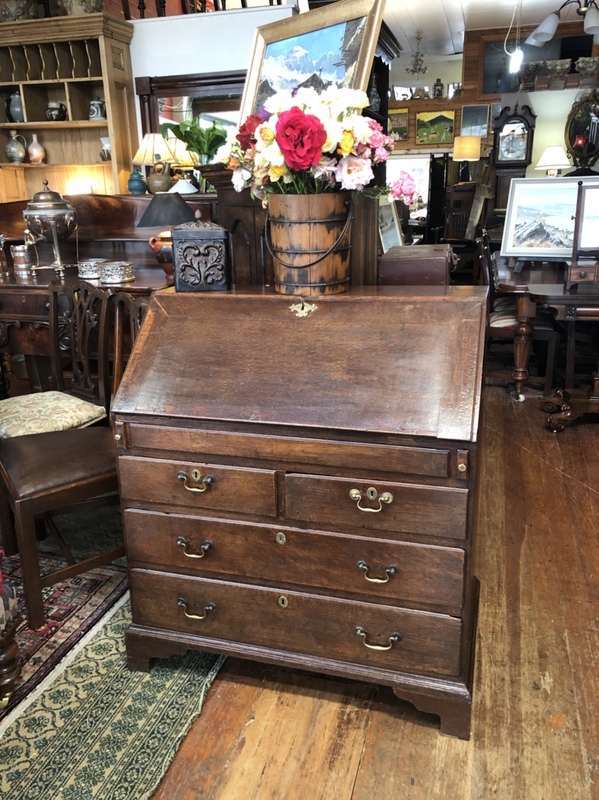 A Victorian Painted Pine Shipping Trunk, painted in red, clean and tidy. 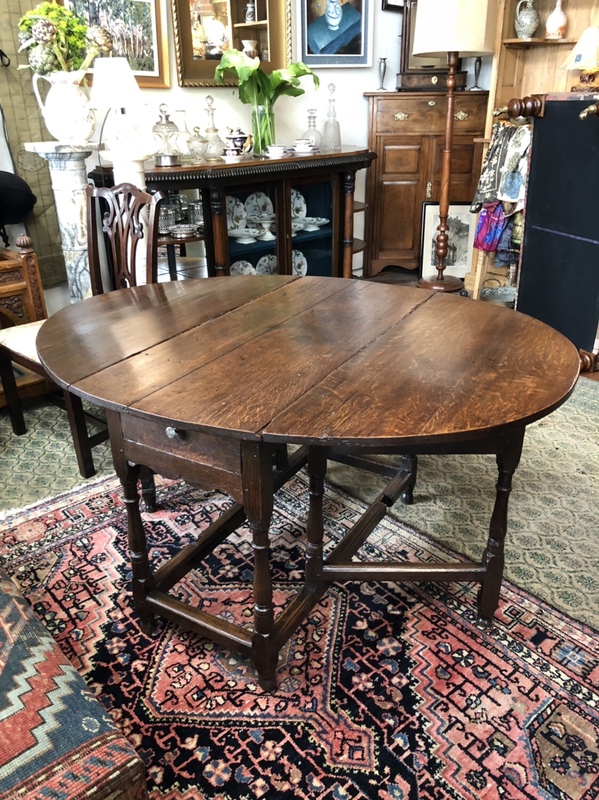 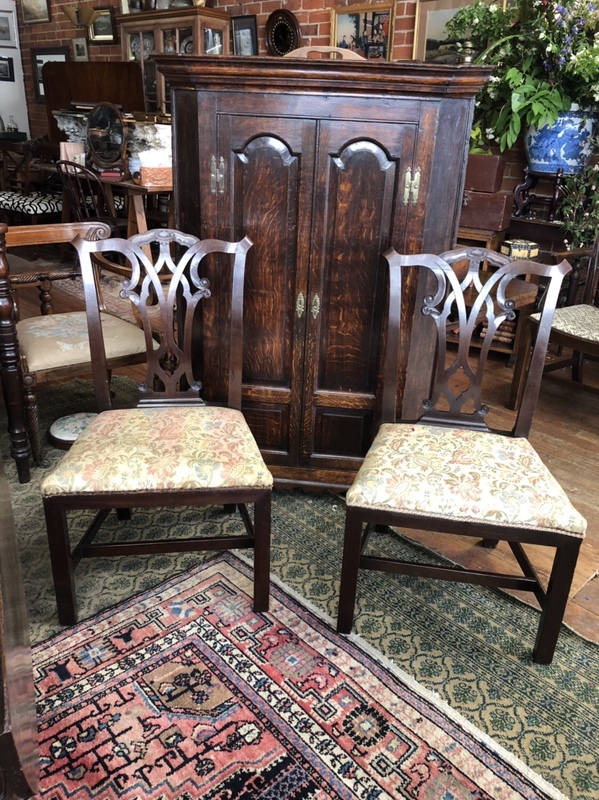 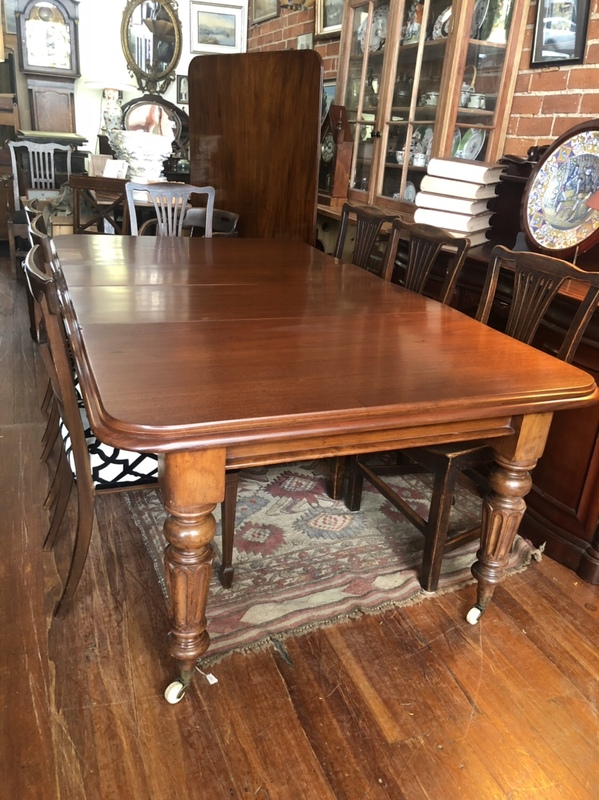 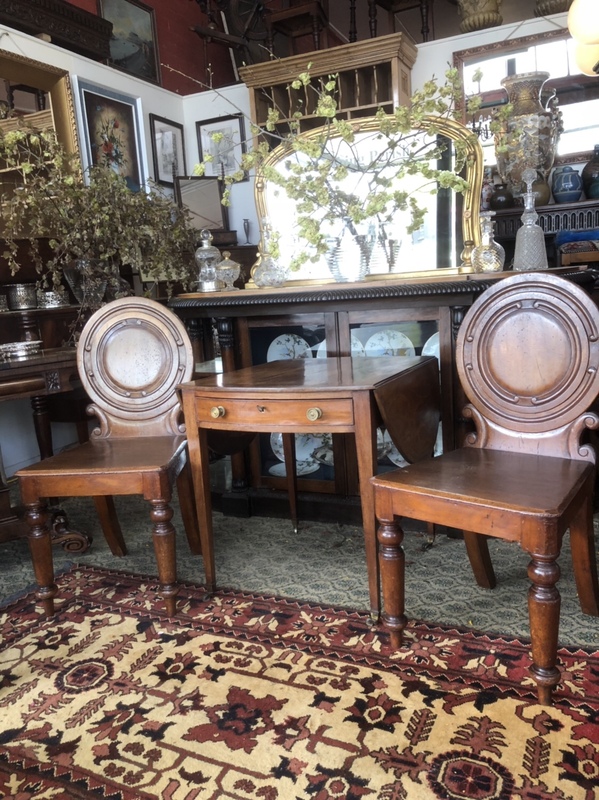 A Pair of Australian Colonial Hall Chairs in Cedar, having rather interesting Regency style round backs, good colour and condition. 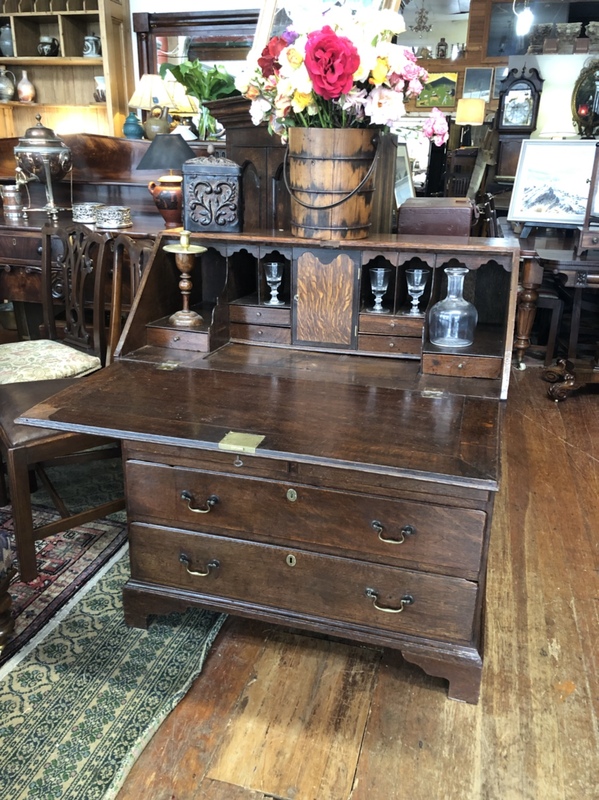 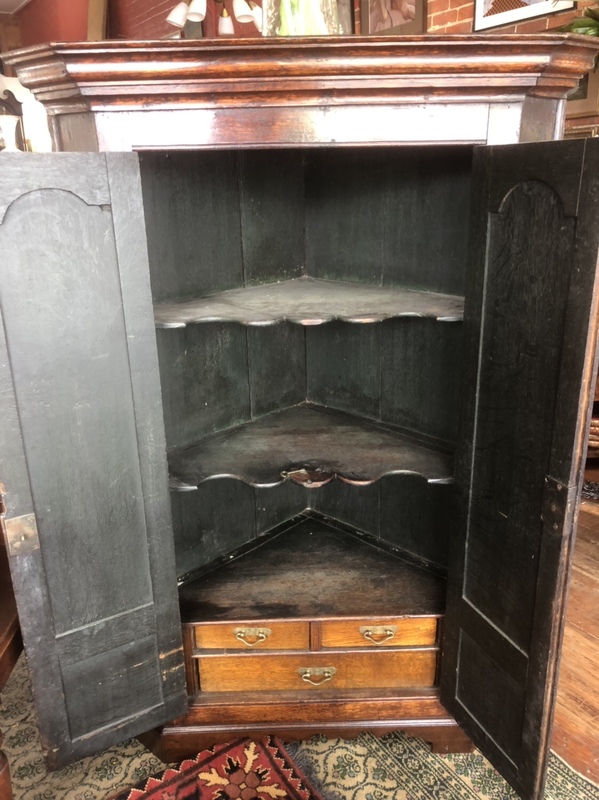 The Country Oak Cupboard with the doors ajar.